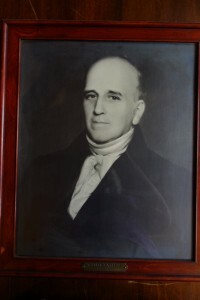 His son William P. Walker also became county probate judge and took on management of many of his father’s investments. Between the two Judge Walkers, the Berkshire County judicial system was under their conscientious care for almost sixty years. 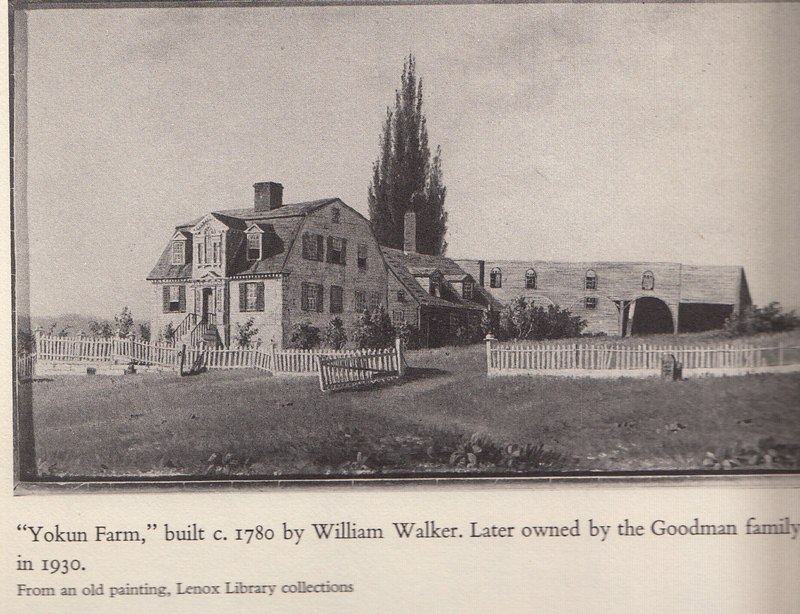 William Walker died in 1831 (age 80) and was buried at the Church on the Hill. He owned homes in several Lenox locations (East St. and Yokun Farm on Old Stockbridge Road), but the best known is the Federalist style home built in 1804 (64 Walker St.) that is operated today as a B&B – Walker House. 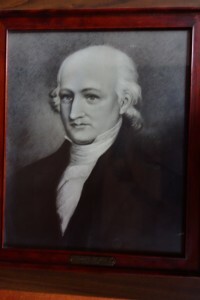 In addition to encompassing the era of Lenox from Revolutionary War through its days as county seat, father and son were civic leaders on numerous fronts and major land holders and investors in the Lenox Furnace industries. 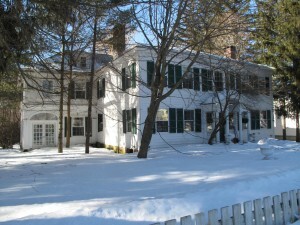 William P. Walker also owned the house now on Church St. It may have been moved here from another location–perhaps next to his father’s house? 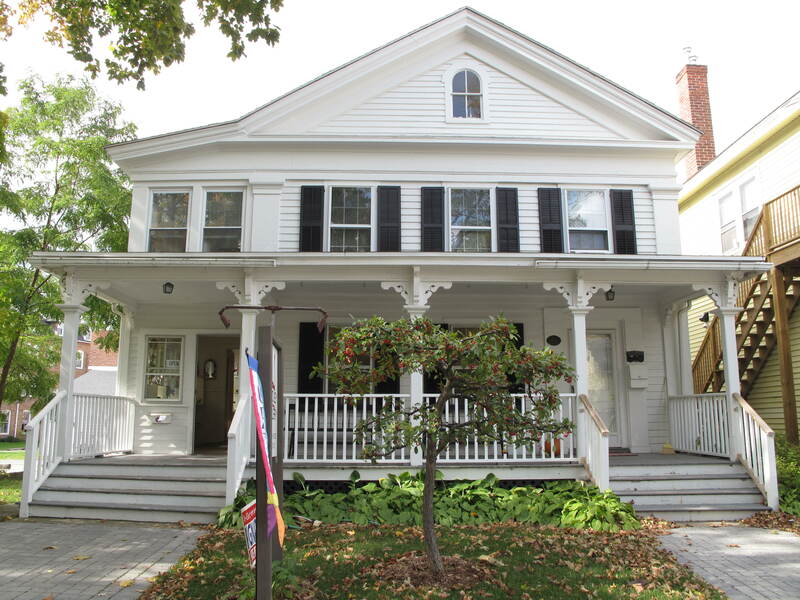 He may have lived here before inheriting the house that still stands in its original location on Walker St.
William Perrin Walker had the further distinction of having a daughter, Sarah Woodruff Walker, who married David Davis of Illinois. Davis was Abraham Lincoln’s campaign manager and later became a Supreme Court Justice. 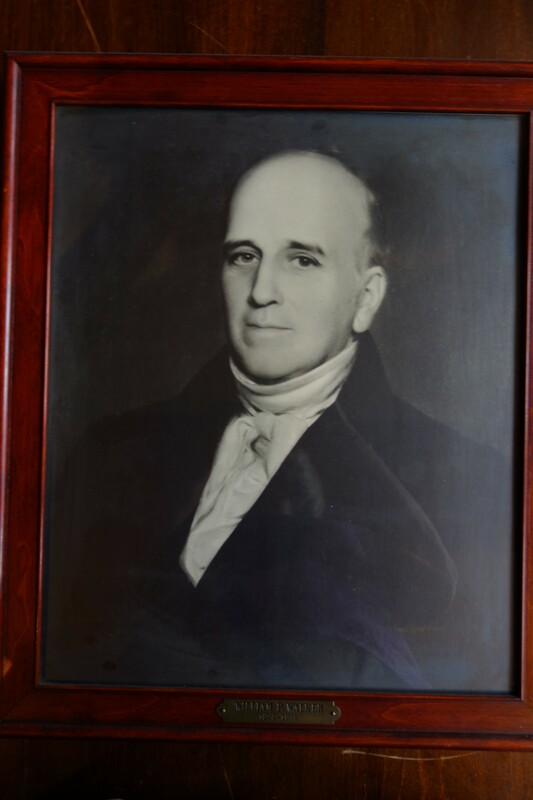 True to the tradition of fathers everywhere, William P. Walker had initially disapproved of Davis. Daughter Lucy also married well..Julius Rockwell – another judge and US Senator. He also was the first worshipful Master of Evening Star lodge (Freemasonry)in 1795,charter by Grand Master Paul Revere .